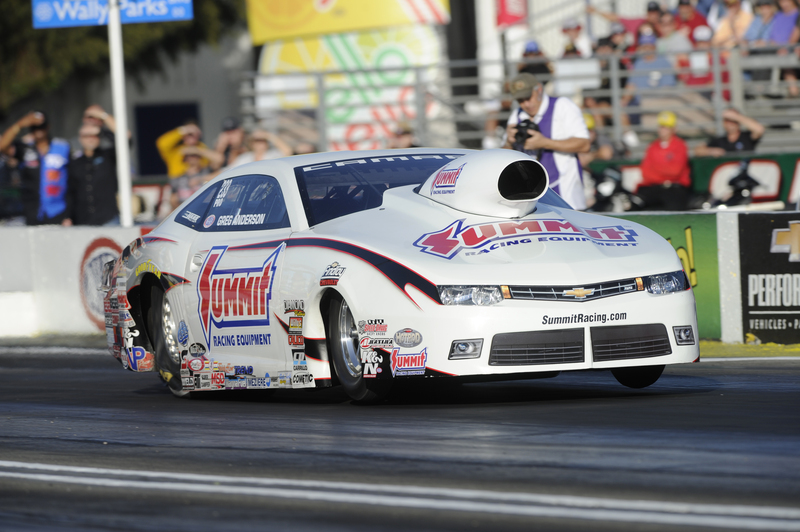 Greg Anderson got a birthday present one day later as he was able to defeated his teammate Jason Line to win the Amalie Oil NHRA Gatornationals. This is Anderson’s first win of the season. Anderson joins Line and Rodger Brogdon as the Pro Stock winners this year. Just last year, he was forced to miss this face due to heart procedure. Line got off the line first with an 0.020 advantage off the christmas three. However, Anderson was able to run around his Summit Racing Equipment teammate. Anderson improved to 28-23 against Line in his career. He’s also 14-9 in his career in the final round against Line. This is Anderson’s first win since Englishtown in 2012. He had a winless streak of 60 events. Also, this is Anderson’s 75th career win. He won by 0.0115 seconds, which was approximately four feet.